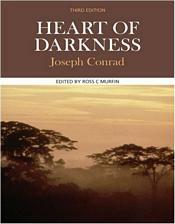 This volume presents the text of the 1921 Heinemann edition of Conrad's classic short novel along with documents that place the work in historical context and critical essays that read Heart of Darkness from several contemporary critical perspectives. The text and essays are complemented by biographical and critical introductions, bibliographies, and a glossary of critical and theoretical terms. In this third edition, the section of cultural documents and illustrations is entirely new, as are two recent exemplary critical essays by Gabrielle McIntire and Tony C. Brown that synthesize a variety of current critical approaches.